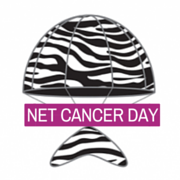 November 10 is NET Cancer Day. Our first project, a brief informational video designed to increase public awareness of pheos, paras, and the symptoms they cause, will be live on our YouTube channel that day. In addition, each participant’s complete individual story will be available for viewing. Many heartfelt thanks to our brave contributors, who took a big step to help everyone dealing with pheos and paras by telling their stories publicly. This project wouldn’t exist without their participation. If you’d like to contribute going forward, please contact us and let us know. Our email address is pheo para project (no spaces) at gmail dot com.